With the fast-paced readability of a legal thriller, Revolution Justified is a non-fiction work that leaves no room for reassuring doubt or denial about the grave dangers of runaway climate change and the perpetual failure of politics to protect us from it. The book explains the judiciary may yet rescue the climate and break through the status quo in the fossil fuel dominated energy world. 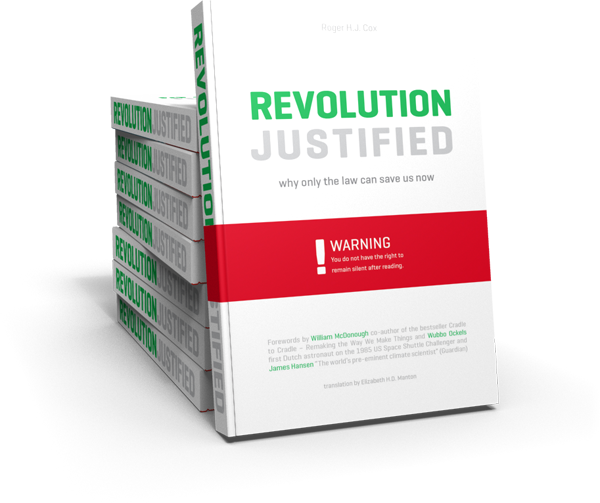 Revolution Justified is a piercing indictment with national governments as the accused. 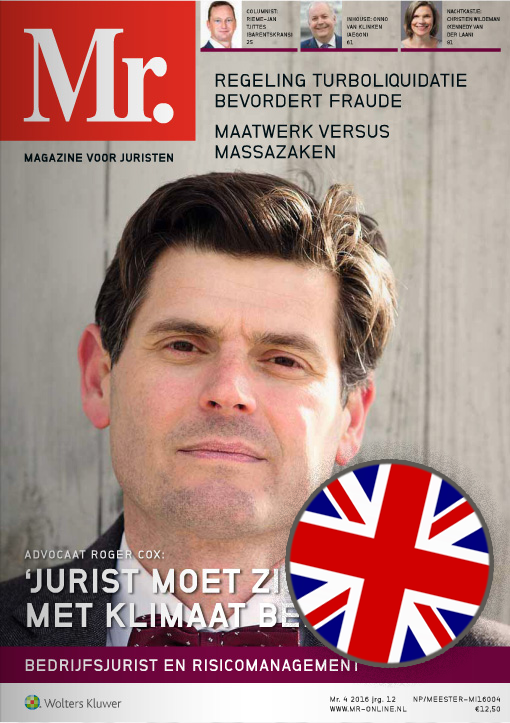 In 2015 the author’s analyses and argumentation changed the legal landscape and led to the first ever court ruling ordering a nation state (The Netherlands) to actively fight climate change. In this illuminating book, attorney and pragmatic visionary Roger Cox sets out and analyzes these energy stress tests, going on to explain why neither the market mechanism nor today’s political model are capable of initiating an energy revolution to solve these issues. This deadlock situation has the potential to bring about the very downfall of Western society, as this book explains, and will at the very least put Western countries at risk of committing domestic human rights violations on a scale nobody had thought to ever see again after World War II.